Hey, kids, welcome to my page. This is the LoCAT. It is a compressed air cannon used by the State of California. 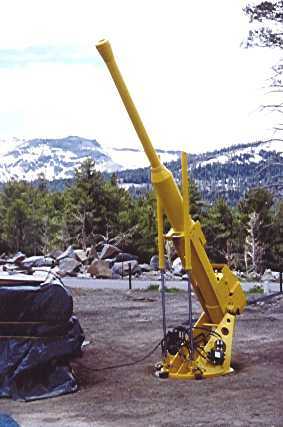 It can launch a 7 pound shell 3 miles with the accuracy of an army issue artilery piece. Here's my Potato Gun page. Quote of the day: "With most internet services, the exception is not getting connected. With NEP, the exception is getting connected." I'm so glad he decided to share his wisdom with the rest of us.